Nic and Jen Welty wanted to see more locally grown, nutritious foods offered to the students at their daughter’s school in Leelanau County, Michigan. Having previously worked as Farm Manager at Black Star Farms in nearby Suttons Bay, Nic Welty was poised to start his own venture. So, in 2008, the couple started their own company, 9 Bean Rows, and built a Community Supported Agriculture program with a focus on supplying local food to area schools. Soon, the couple snared a contract to supply the Leelanau County Public School System year-round with fresh salad greens. “Within the first year of operation, schools became one of our target markets because of what it does for our community and the benefits to students,” Nic Welty says. In 2013, 9 Bean Rows received a grant allowing for the addition of a commercial washing station for salad bars throughout the Leelanau County public schools, expanding their reach even further. The company has now incorporated working with other CSAs to help supply the schools. “It’s a cooperative project to feed schools from several local farms,” Welty says. There were challenges along the way, but making personal connections with everyone involved was the key, according to Welty, adding that developing clean, easy-to-use products that school food service personnel can handle and that students will enjoy was critical to their success. 9 Bean Rows currently cultivates 1.5 acres, combining cutting-edge farming techniques with time-tested “old-school” methods, according to Welty. 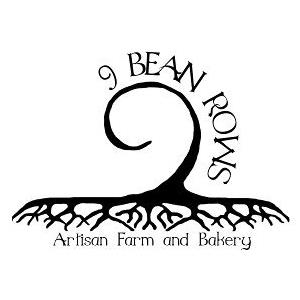 With a philosophy of “cultivating food, not commodities,” 9 Bean Rows seeks to keep nutritional content and vegetable flavor at the top of the priority list. Part of this includes not using any chemical fertilizers or pesticides, relying instead on the hands of the workers to keep beds free of pests and weeds. 9 Bean Farms also sells produce to local grocery stores, restaurants and farmers’ markets as well as directly selling to large employers with health and wellness programs, according to Welty. Jen Welty also runs the 9 Bean Rows Bakery in downtown Suttons Bay, and supplies her fresh-baked specialty breads to the couples’ latest venture, the 9 Bean Rows Cafe. Together, Nic and Jen are growing a multi-faceted, profitable business that serves the community. As for advice to other farmers wanting to supply to local schools, Welty urges CSAs to begin by simply starting the conversation with school district officials about the benefits. “Talk to the school, talk to parents at the school, and it won’t take long to get the school board on task to get good food in,” he says. With the CSA and bakery going strong and the cafe taking off, what does Welty see as the focus of 9 Bean Rows for the future? “Continued expansion, locally, to supply an even larger diversity of products 12 months of the year,” he says.